Nightly Rate: $189 – $195 +25 per person for 3 or 4 Inquire at Book Now for actual rate. 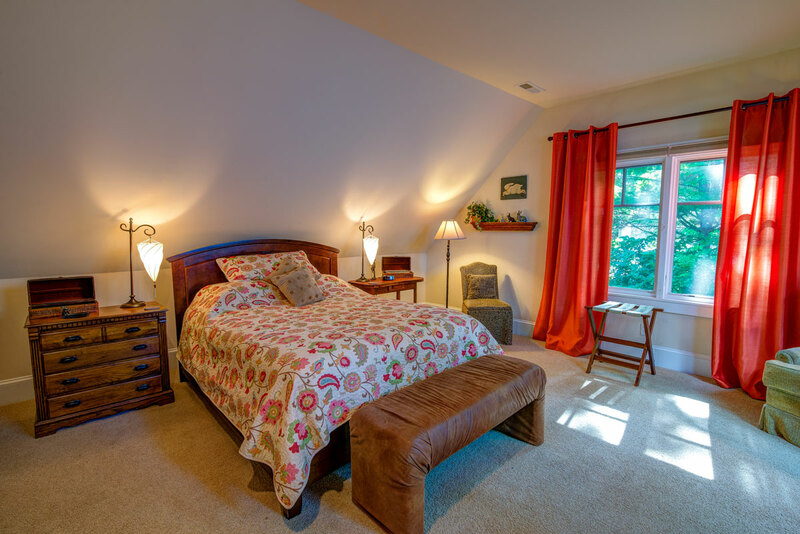 Spacious room overlooking native plants and trees. The High Windy, named for one of the highest peaks southeast of the town of Black Mountain, is located on the second floor. 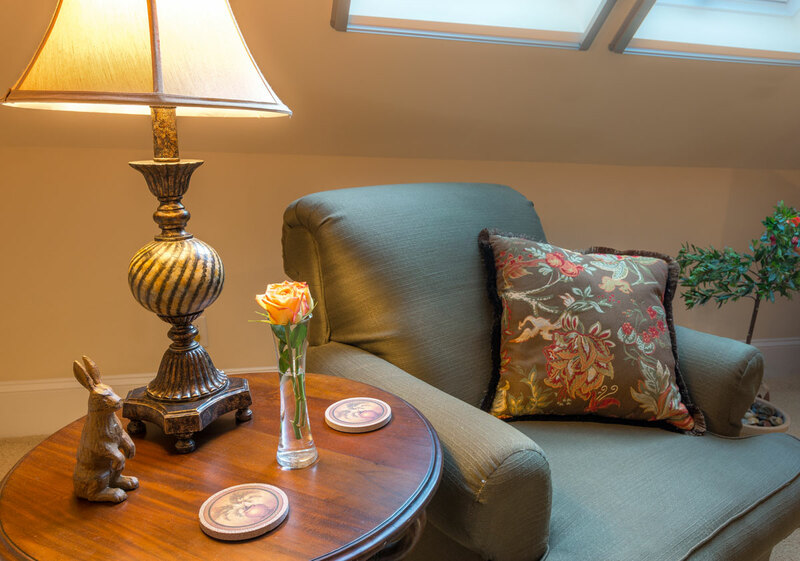 This room features a queen-sized bed and comfortable sitting chair with queen sized sleeper sofa near a large window overlooking a tiered garden. 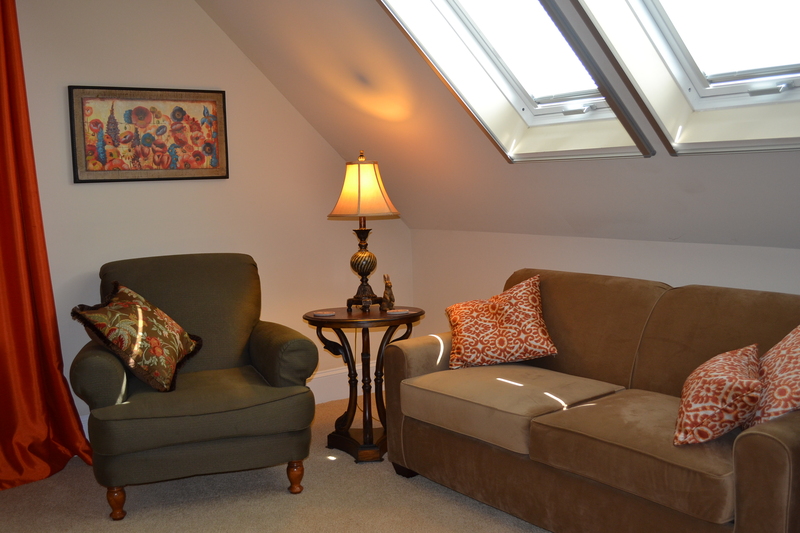 Two European roof windows provide lots of light and the cool mountain breezes. As you enter the bath, light floods from the skylight into the two-person, walk-in, tile and glass-block shower with multiple sprays.